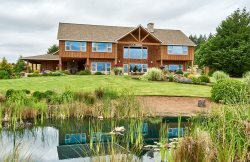 A five bedroom (6 beds), six bath enchanted retreat in Oregon's wine county - perfect for events! Due to the countryside location of this property the internet service doesn't have the speeds to support media streaming, and some social media sites. Access to text messaging and email should be fine, but anything else will have some difficulty loading properly. Additionally, depending on your cellular provider, cellular service may be spotty as well. We apologize for the potential inconvenience, it's just the nature of location of the property itself. With an inspirational backdrop for encouraging dreams, The Brookside Retreat is the quintessential event space in Oregon Wine Country for lifestyle events. The Brookside offers an elegant and peaceful experience in a rustic environment for weddings, corporate events, retreats, birthdays and family gatherings. The accessibility and quiet seclusion of our Oregon event space and property merge together to create a unique space for focused team building, playful gatherings, or humble relaxing. For contracted events, The Manor will seat up to 40 people and has easy access to our full catering kitchen*. The Brookside Retreat is able to offer weddings and outdoor events for up to 200 people. The spacious event grounds surrounding The Manor provide many choices for outdoor event dining and gathering. Tables, chairs and other event services are available. For a pleasurable and relaxing experience for the bride and groom and their guests, we require a two-night minimum for all nine rooms; the night before and the night of the ceremony or reception. 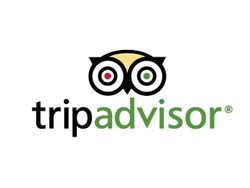 Please inquire about our Wedding and Event policies or to schedule a tour. *NOTE: The full Catering Kitchen set-up is only available for contract event groups and with proof of catering license. Available to us at all times, very accommodating of all of our needs. Lightening fast and efficient response time. We had an amazing time. Our family stayed there for my son's wedding, and we enjoyed everything about the house. We created memories around the fire pit and had fabulous wine on the front deck. We will certainly stay there again! Email exchanges were very helpful and friendly. Loved the property. Most things were clean and in working order. The kitchen had everything we needed to have some nice meals in the house. We enjoyed our stay at the manor. The scenary was beautiful, the house was very convenient for a large family. The house accommodated most of our needs. I would definitely recommend this place. It was a nice getaway in a beautiful secluded property. We enjoyed our stay! The perfect place for our girls getaway! No one wanted to leave!! The house is excellent, beautiful and contains all that is needed for a great time. While we are in the modern era and we do have internet access, it is important to note that here in the rural Willamette Valley there are often times that certain cell service providers do not work on the properly. We've found Verizon to be the best onsite. With this said, The Brookside is too remote for TV services, so we have equipped both homes with DVD players and a selection of movies. We hope you'll enjoy your visit taking in the peacefulness of the property and enjoy some R&R time at The Brookside Retreat!